Though it has only been on the market for two years, the Jeep Renegade has already garnered a reputation for offering an affordable and highly versatile drive. The low starting price and great amenities have made it a perfect option for first time buyers, though it remains a top option for well-seasoned drivers who want the ability to go off-road in their daily commuting vehicle. The agile performance and incredible potential off-road capability will make it a coveted Jeep model for years. To find out what a used or pre-owned Jeep Renegade could offer you take a look below! The Renegade will be a perfect compact SUV for customers who want a commanding off-road ride, and comfort for suburban environments. With a variety of four-wheel drive options and selectable drive modes for a range of terrains, the Renegade will be comfortable no matter where you take it. Even the base configuration will offer a great ride, with it featuring a turbocharged 1.4-liter four-cylinder engine that delivers 184 lb-ft of torque and 160 horsepower. This engine will typically be linked to a six-speed manual or a nine-speed automatic transmission. Another great engine option is a 2.4-liter four-cylinder that offers 177 lb-ft of torque and 180 horsepower. The highly advanced Renegade Trailhawk will feature a dynamic low-speed four-wheel drive system for enhanced off-road gearing, as well as an additional drive mode. The available Trailer Tow package can provide drivers with a maximum towing rating of up to 2,000 pounds. 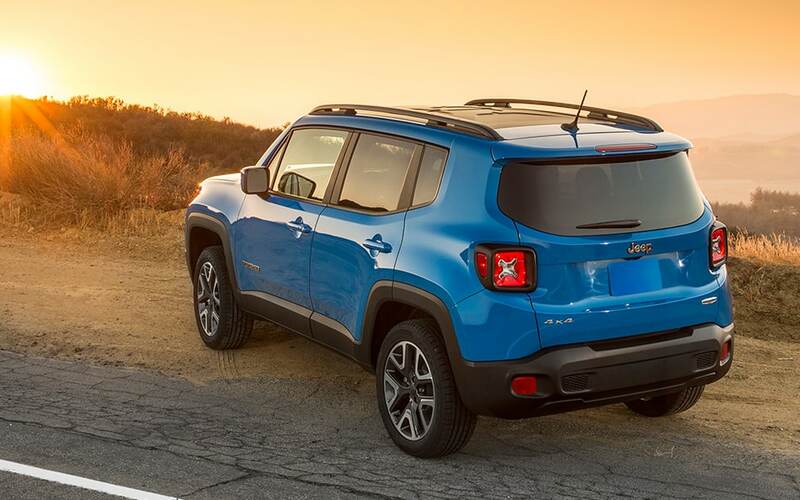 The Renegade can provide customers with seating for five passengers, and it competes in the subcompact crossover SUV segment. There are typically four available trim levels, though that will vary by model year. Regardless of which trim is chosen, Jeep can provide drivers with every accessory they want through additional packages, standalone features, and through Mopar parts and accessories. Many Renegades will have standard features including automatic headlights, 16-inch steel wheels, and dual sunroofs. The sunroofs have non-sliding panels that cannot be removed, though an upgrade available for most Renegades can equip the vehicle with a power operated sunroof. Technological features can include a four-speaker sound system, which is linked to audio and USB inputs. Uconnect technology is also available, and it can be linked to a 6.5-inch touchscreen. Available high end features can include a heated steering wheel, leather upholstery, and remote engine start. Is the Renegade an efficient option? Absolutely, many configurations of the Renegade can provide an estimated 31 mpg on the highway! Can the Renegade haul long items? The Renegade features a front passenger seat that folds flat, which will make it easier to haul long items like surfboards. Can I buy accessories for my vehicle at Thompson of Edgewood? 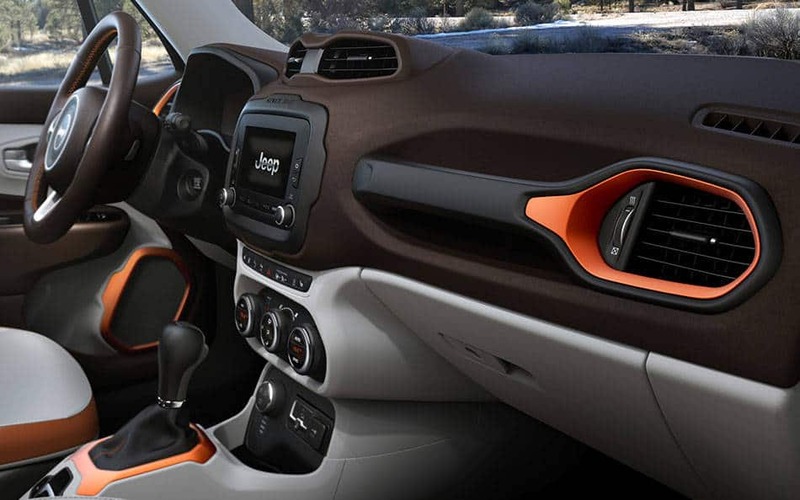 The Jeep Renegade has many safety and security features, and drivers can expect to find traction and stability control, antilock brakes, and hill start assist. Also standard is a driver knee airbag, front side airbags, and side curtain airbags. Most trims can be equipped with a rearview camera, and further driver assistance features like rear parking sensors, a rear cross-path alert system, lane keeping assist, and more. Available Uconnect Access can also provide cellular technology for emergency and roadside assistance. 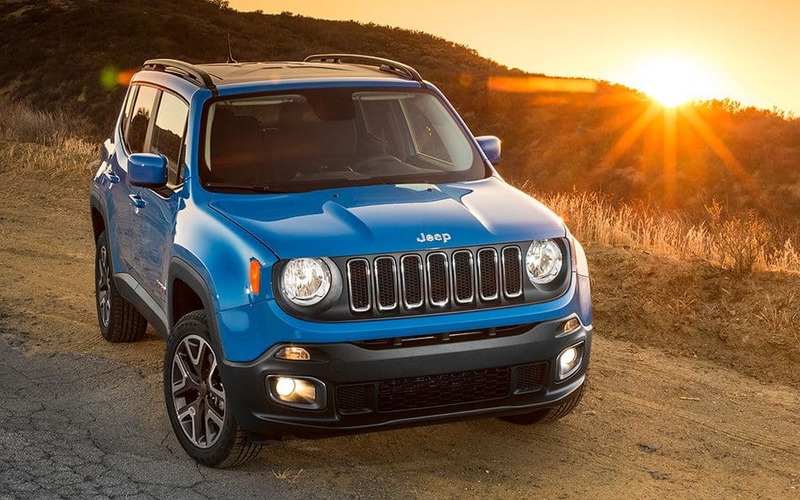 If you would like to learn more about a used or pre-owned version of the excellent Jeep Renegade, contact us today at Thompson Chrysler Dodge Jeep RAM of Edgewood, MD!